This sightseeing tour is about listening & learning. It’s about Music & Recording. It’s about the 50’s in Memphis (already Home of the Blues), and Sun Studios giving birth to Rock n’ Roll. It’s about the 1960’s and music studios in Muscle Shoals, AL turning Albums into Gold. Come visit these Studios, cut a group record and learn about producing music. 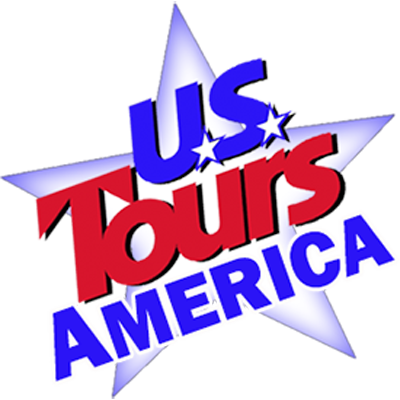 Whatever you want, US Tours will be happy to structure tour prices to match your needs. Just let us know! This tour begins with arrival in Memphis where you discover the world of making records. You learn about Rock n’ Roll, The Blues and more. This is not sightseeing. This is listening and learning – this is the ultimate Audio Tour! Memphis comes alive today starting with the MoJo Tour. A professional Beale Street musician/tour guide will sing of the city’s music history, entertaining you with tunes and behind-the-scenes stories of Memphis celebrities. Along the way, you will see the City’s famous sights including The Lorraine Motel and St. Jude’s Children’s Hospital, plus you have photo stops at Graceland and the Johnny Cash home. During this tour you will also visit Sun Studios – The Birthplace of Rock N’ Roll (1950) and home to the ‘Million Dollar Quartet’ – Elvis Presley, Johnny Cash, Jerry Lee Lewis and Carl Perkins. Did you know Studio owner Sam Phillips, a music legend in his own right, discovered BB King and recorded Howlin’ Wolf while working for another label? And, did you know that Sun Studios is still rockin’ today? You never know who may walk in that door as you’re walking out. After lunch you visit Stax Records (1959). They launched the careers of Isaac Hayes, Otis Redding, the Staple Singers, Wilson Pickett, Booker T & the MG’s and dozens of others whose influence remains vital to R & B today. This museum preserves the legacy of American soul music with records, video and memorabilia. Next, we tie the Memphis Scene all together at the Rock n’ Soul Museum; come hear the story of the greats who for the love of music, overcame racial and socio-economic barriers to create sounds that shook the world. Created by the Smithsonian Institution, Rock n‘Soul explains how Memphis is both “The Home of the Blues” and “The Birthplace of Rock ‘ Roll” – you will leave with the idea that this town was one exciting place in the 1950’s! Leaving Memphis where that great music started in the 50’s you travel to Alabama to learn about the Muscle Shoals Sound, and how this unlikely small town gave birth to much of that creative and defiant music of the 1960’s. Along the way, you stop in Nesbit, MS for a tour of the Jerry Lee Lewis Ranch. The Lewis Ranch has been Jerry Lee Lewis’ private getaway for decades, and is the place where he composes his music—and spends time with his family. Now he’s opening the doors once again to give fans a look at the life of a rock ‘n’ roll legend. We think Muscle Shoals is the best kept secret in American Music. They have recorded #1 Hits in almost every genre. This afternoon on tour you hear about the legends, the superstars of R & B, Pop, Soul, Rock, and Country – they all recorded here. Your first stop is the place it began – Fame Studios. Here in 1961 Rick Hall brought black and white together in Alabama’s cauldron of racial hostility to create the “Muscle Shoals Sound.” He produced hit records for Aretha Franklin, Little Richard, Wilson Pickett, Etta James, Otis Redding, the Osmonds, Jerry Reed, Alabama, Mac Davis, the Gatlin Brothers and Bono. This morning starts with a Blues Breakfast at The Alabama Music Hall of Fame. Strong coffee and music gets your blood pumping as you enjoy Southern Music History. Here you will find exhibits to a pair of Local Legends, W.C. Handy and Sam Phillips. Plus other famed Alabama Musical Artists such as Nat “King” Cole, Hank Williams, and the group Alabama. Next is the historic Muscle Shoals Sound Studio at 3614 Jackson Hwy. In 1969 the Swampers broke away from Fame Studios and opened this studio (note: Cher’s produced an album titled “3614 Jackson Hwy” here) Fame Studios survived without the Swampers and continued producing hit after hit. The Swampers were also successful and recorded Rod Stewart, Duane Allman, Boz Scaggs, Paul Simon, Lynard Skynard, Glenn Frey, The Rolling Stones, Elton John, Bob Dylan, Willie Nelson, Linda Ronstadt, Bob Seger, Art Garfunkel, Sawyer Brown and The Oak Ridge Boys. It seems that everyone recorded in these two Studio’s. From 1961 thru today the World’s Greatest Musicians have been trying to capture that Muscle Shoals Sound. Following lunch (on own) your group can tour either the W C Handy Museum & Birthplace or Ivy Green, the Helen Keller Birthplace. Troubadour Music Sightseeing is an “Only in Nashville” kind of experience and brings new meaning to the phrase “Entertaining Narrative” this is sightseeing with another singer/songwriter guide. Your afternoon will include Downtown Nashville’s colorful history with drive-bys of the historic Ryman Auditorium, Tootsie’s Orchid Lounge, Honky Tonk Row, Ernest Tubb’s Record Shop and The Bluebird Cafe. Plus, you will hear what it’s like trying to break into Nashville’s music scene, both the struggles and the victories. As an added bonus your Troubadour will perform some of his or her original songs! Then it’s off to the Country Music Hall of Fame, the keeper of priceless Country Music Treasures. Your self-guided tour is a walk through history, one that leads you from the earliest folk traditions to the music that thrills millions of fans today. Every tour ends in the Hall of Fame Rotunda, the never-ending circle, and storied home of the inductees. For dinner you’ll find that the most famous show in country music is now making its mark on Southern cuisine, in a new Nashville restaurant as uniquely entertaining as the Grand Ole Opry itself. Your dinner this evening is at the Backstage Grill, where country cooking and music define the menu. If you want even more music added to your package please take a look at our 9 Day tour, titled American Recording Studios.